LEARNING CENTERS - Mini-Moments at Jacksonville Country Day School! Friday, February 15, 2019 Play in Pre-K! You and your child will have the chance to explore different materials in an open center time just like the children do in the Pre-K classes at JCDS. There will be light exploration, artistic centers, building centers and more! We invite you to visit the Jacksonville Country Day School campus for a fun experience and a glimpse into our Pre-K program. 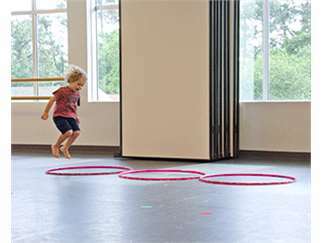 Designed for two and three-year-olds along with a parent or caregiver, Mini-Moments classes are your chance to participate in an interactive event with your child, make new friends, and learn about our school. These are free events but space is limited. For more information or to RSVP, please email admissions@jcds.com.